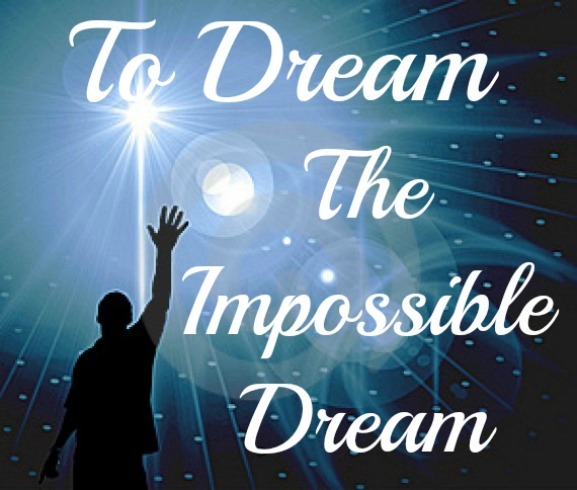 What if We Can Accomplish the Impossible Dream? 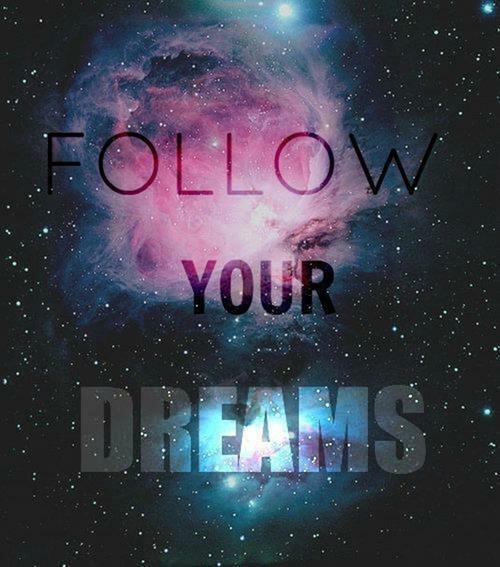 To dream the impossible dream. To have goals that no one believed you could reach. To have a purpose in life that was divine. To strive for more than you thought you deserved. To challenge convention and defy the experts who told you that you could not do it. To live the life that you believed in and to find the passion that touched your heart. To die with no regrets because you lived the life you chose. To fight the unbeatable foe. To challenge those worth defying. To upset the status quo when it is wrong. To battle authority and convention when it is immoral. To rage against injustice and immorality wherever and whoever is involved. To protect the little person and stand up for right and fairness. To be a human and champion humanity against injustice and greed. To bear with unbearable sorrow. To suffer the slings and arrows of injustice and ingratitude. To become a pariah among others. To endure insults and calumny. To be shunned by friends and family alike because of your beliefs. To be the minority in face of an outraged majority. To be different when everyone else is going along. To run where the brave dare not go. 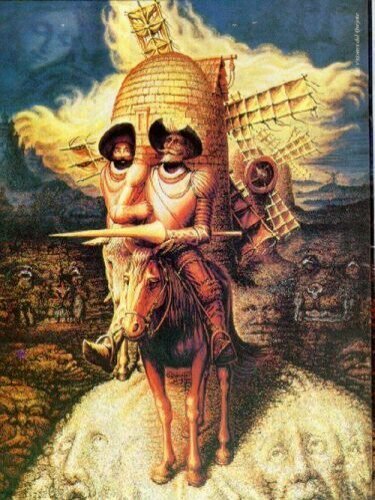 To go where all say is foolish. To challenge Goliath. To standup to the system that cannot be beat. To believe that you can when all say you cannot. To right the unrightable wrong. To have no chance to win but to try anyway. To choose your battles based on right and not possibilities. To strive when all say it’s over. To persevere in the face of sure defeat. To love pure and chaste from afar. To love right more than life. To love unconditionally. To love without reciprocity. To care for others when they despise and revile you. To believe in fairness and justice when they seem impossible. To return hurt with kindness. To return meanness with love. To reach the unreachable star. To reach for the heavens when you were told to stick to the earth. 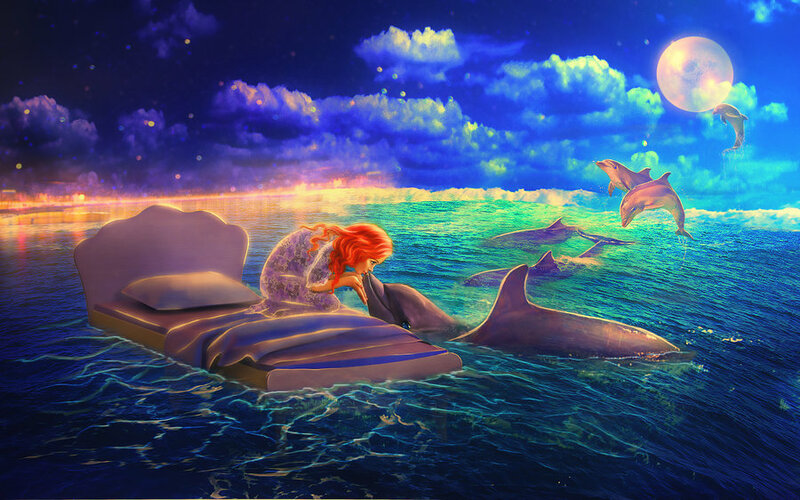 To dream beyond fantasies. To surpass expectations that chained you by birth. To strive for the sublime instead of the mundane. What will my life matter if I do not reach for what I believe in? What value will I leave the world, if I do not try to change things? Can I go through life simply doing what others expect and never exceeding their expectations? Is this what I want from life? Do I have the courage to expect more and to follow my passions and dreams? Will I let others pull me back to the safety and security of the masses? How far will I go to make a difference and to stand up for what I believe? Do I have the will to die for my ideals? Would I take the hemlock like Socrates to live my beliefs? Would I suffer crucifixion like Jesus to make amends for the wrongs of the world? Am I willing to risk being a martyr for the right cause? What will I put my life on the line for? Will I die for my family and friends if needed? Do I realize that there are no guarantees in this world? Can I live with only the certainty of my death? Will I sacrifice the goal of security for the ideal of integrity? 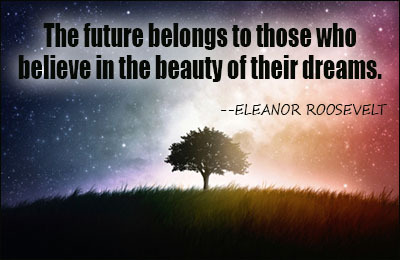 What will humanity be if we give up our dreams in favor of reality? What if we have no passions? What if the profane takes precedence over the sacred? What will we become if we sacrifice ideals for practicality? What if all we strove and died for was what we could buy now on credit? 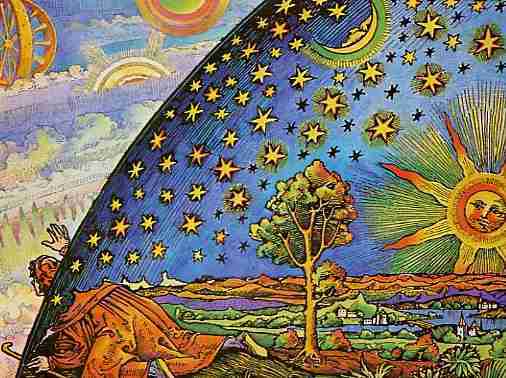 The Twelfth Greatest Mystery of all Time: Can We Solve All the Mysteries of Existence? Why are Nigerian girls still missing? Did Paisley’s ‘Black-ish’ joke miss? Plan to clear Syria chemical weapons? If you are like me, you probably look at several of these headlines, shake your head and ask “Why would anyone do that.” Why? Why? Why? As I get older and presumably wiser, I find myself less able to come up with answers to this question: “Why did he do that?” “Why did she do that?” “How could anyone do that?” “What were they thinking?” Is it just me? Karen says she is amazed that I am almost constantly rendered speechless by the things that other people do: “Why would anyone vote Republican? Why would anyone vote Democrat? Mystery after mystery confronts my daily existence. My best efforts to solve the mysteries of life are worthless in the face of this continuous barrage of mysteries. While I may solve one or two great mysteries each day, one hundred others seem to pop up to take their place. Solving my mysteries, I feel like a rat running on the tread mill and staying in the same place. I apply genius, innovation, creativity, determination, perseverance, fortitude, patience, discipline and still the mysteries of life continue to multiply and accumulate faster than I can dispose of them. Do mysteries have some inestimable place in our daily existence? Are they like vitamins and minerals a necessary part of our daily diet? 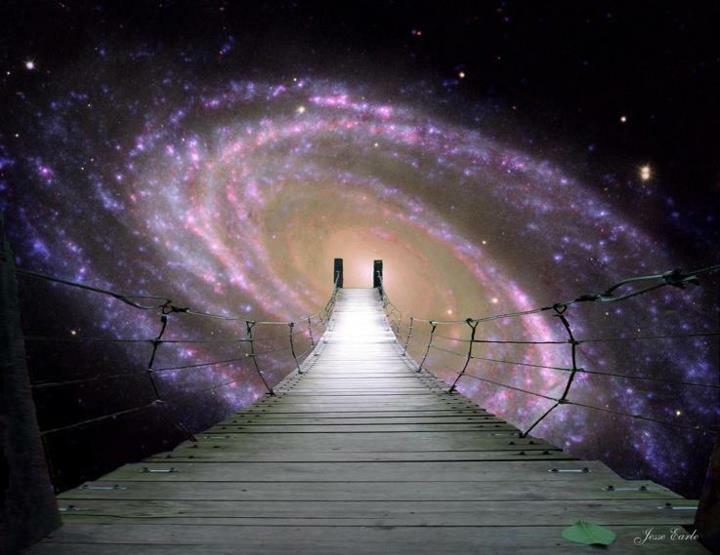 Can we live without all the perplexity and confusion that these numerous mysteries provide us? Or without them, would we gradually wither away and die of sameness and complacency? I know not what course others may take; but as for me, give me mysteries or give me death! — John Persico Jr.
What are your greatest mysteries? What makes a mystery for you? What do you find most curious or interesting about life? How do you go about solving your own mysteries? Do you regard mysteries as fun and entertaining or challenging and provocative? Do you hate mysteries? Why? The Thirteenth Greatest Mystery of All Time: How can I Provide More Value to the World and Get Paid for It? If you have a good memory, you will note two facts. One, I skipped mystery number 12. Two, I added a 13th mystery to my series of All Time Greatest Mysteries. Call it a “baker’s dozen.” Actually, this is a rather shameless advertisement for my services. I have posted over 95 blogs on this site and nearly 600 blogs at www.timeparables.blogspot.com and never one ad. Today, I am posting an ad for myself. 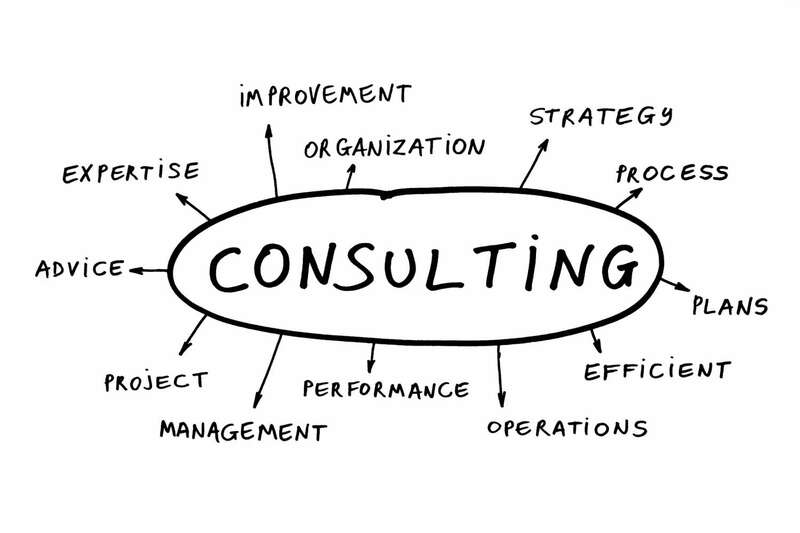 I want to consult, teach, train, speak, lecture, educate, facilitate and help organizations innovate in the areas of cost reduction, strategic thinking, quality improvement, customer service, innovation and revenue generation. Over the years, I have helped many profit and non-profit companies by solving problems and creating solutions to their most pressing business needs. 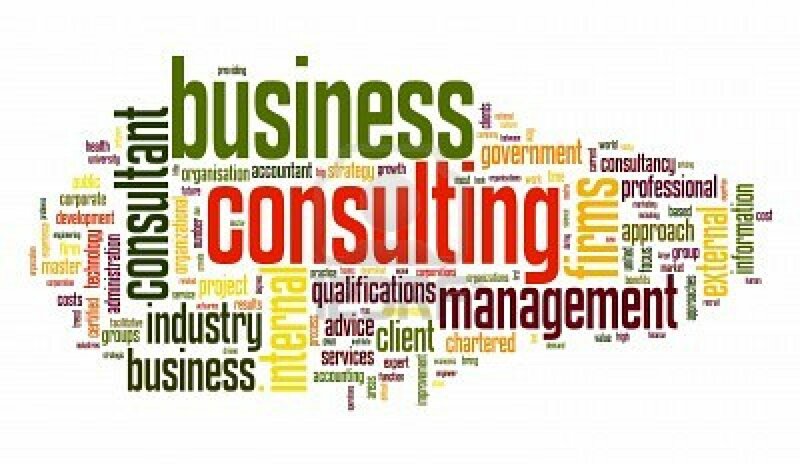 I am now looking for potential clients that need the help of an honest, hardworking, creative and innovative consultant. Over the years, my clients have made amazing improvements in all areas of their business including: increased revenue, reduced operating costs and greatly improved customer loyalty. I enjoy a collaborative working relationship with clients wherein I bring the best of twenty six years of organizational development experience to the client and meld this to the knowledge and systems perspective that is part of their inside working experience. You might be wondering: “How do I fit into this marketing picture?” If you know of any organization that is in financial difficulty or any organization or manager that simply wants to be better able to compete in a global market, please send me their names or send them a link to this blog. I have a full-profile and resume at LinkedIn and examples of some presentations that I have used for organizational development at Slideshare.net. I have a website at www.johnpersico.com that displays my model of organizational excellence and some of the tools that I use in the quest for enhanced organizational performance. I do not use a cost cutting model of organizational growth and change. 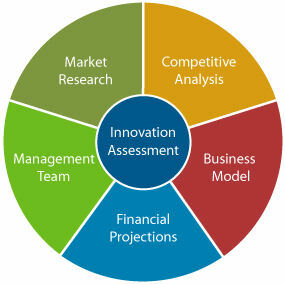 My models are all based on doing things better, smarter and more effectively. Over the years, I have learned from such management experts as: W. E. Deming, Kaoru Ishikawa, Peter Drucker, Herbert Simon, Noriaki Kano, Yoji Akao, Joseph Juran, Kenichi Ohmae and many others whose names I have now forgotten but whose lessons and models I have assimilated. I have conducted hundreds of seminars, online classes, workshops, talks, training sessions, team projects and consulting engagements with government, education, for-profit, manufacturing, healthcare, transportation, IT, mining and retail industries. I would be happy to speak to anyone to see how I can help them reach their goals or simply plan a strategy to help them more effectively accomplish their vision and mission. My vision has been the same now for 25 years: To Live a Healthy, Useful and Wise Life. Please take 3 minutes to review my video. I was asked to create a video for a potential client that wanted me to showcase my facilitation and teaching style. This short video was the result. Please feel free to pass it on to other people. If it goes viral like Gangnam Style, I may have to create a dance to go along with it. I promise to post Mystery Number 12th this coming week. 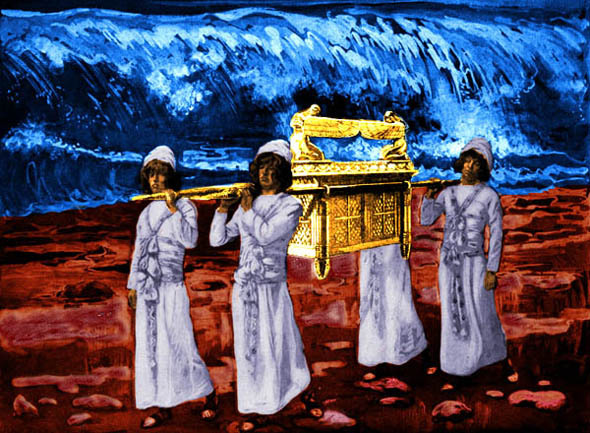 The Eleventh Greatest Mystery of All Time: Where is the Arc of the Covenant? 10 “They shall construct an ark of acacia wood two and a half cubits long, and one and a half cubits wide, and one and a half cubits high. 11 You shall overlay it with pure gold, inside and out you shall overlay it, and you shall make a gold molding around it.12 You shall cast four gold rings for it and fasten them on its four feet, and two rings shall be on one side of it and two rings on the other side of it. 13 You shall make poles of acacia wood and overlay them with gold. 14 You shall put the poles into the rings on the sides of the ark, to carry the ark with them. 15 The poles shall remain in the rings of the ark; they shall not be removed from it. 16 You shall put into the ark the testimony which I shall give you. 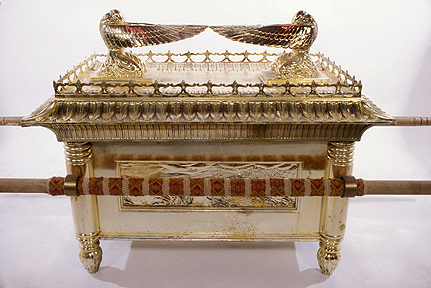 17 “You shall make a mercy seat of pure gold, two and a half cubits long and one and a half cubits wide. 18 You shall make two cherubim of gold and make them of hammered work at the two ends of the mercy seat. 19 Make one cherub at one end and one cherub at the other end; you shall make the cherubim of one piece with the mercy seat at its two ends. 20 The cherubim shall have their wings spread upward, covering the mercy seat with their wings and facing one another; the faces of the cherubim are to be turned toward the mercy seat. 21 You shall put the mercy seat on top of the ark, and in the ark you shall put the testimony which I will give to you. 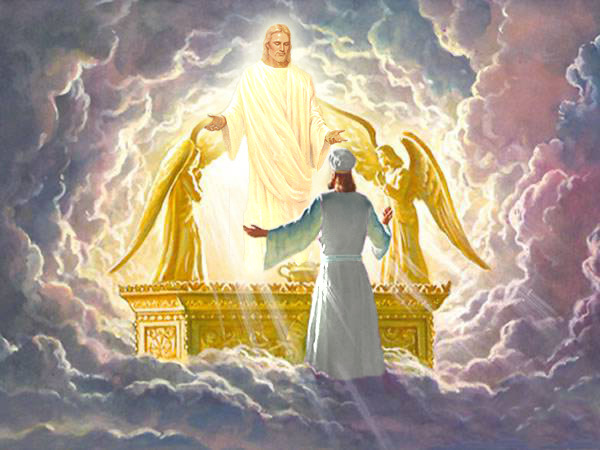 22 There I will meet with you; and from above the mercy seat, from between the two cherubim which are upon the ark of the testimony, I will speak to you about all that I will give you in commandment for the sons of Israel. The precision of the construction of the Arc is remarkable. Those who dispute the Bible as a historically accurate document should read it more carefully. No doubt there are many historical inaccuracies in the Bible but only a fool could ignore the incredible detail that is contained in many Biblical narratives. The Arc disappeared sometime after the destruction of Solomon’s temple and there are numerous claims as to what happened to it and where it is now located. Unfortunately, history provides many unpalatable lessons. One lesson is the amount of grave robbing, tomb destruction and artifact desecration that has gone on since before written records. This has taken place both in the name of greed and in the pursuit of fame. Tomb robbers have been mainly motivated by greed while scientists have been mainly motivated by fame. Imagine being the man or woman who finds the “Lost Arc” or the “Treasure of King Solomon” or Noah’s Arc? Nevertheless, up until present times, archeology (if you can call it that) was dominated by tomb raiders. For a tomb raider, the question is not fame, but how much money can the artifact bring. As it relates to the Arc of the Covenant, this is the sad part. Sad, because the gold and cherubim were undoubtedly worth a great deal more melted down then they would have been still attached to the Arc. The wood most likely rotted away centuries ago and the gold would have been the only thing of value left. The two stone tablets with the Ten Commandments inscribed on them were probably indecipherable to the tomb raiders and most likely became part of a rock pile. Don’t waste your time looking for the Arc of the Covenant. It no longer exists. The gold in your earrings or wedding ring or coins may be part of the original Arc. The rocks in your back yard may have some Hebrew inscriptions which if you look closely at are actually letters from the original Ten Commandments. Fortunately, we have the remarkable description of the Arc that has been passed down in the Bible for over 5500 years now to describe what it once looked like. Plato was right in that ideals never die. Forms, structures, buildings will all eventually decay and wither away, but the ideas, beliefs, hopes and aspirations of humanity will go on as long as there is one person alive to remember them. The Arc of the Covenant represents the hopes of a people for a system of law and morality that was created twenty seven hundred years before the Magna Carta and one thousand years before the Law of the Twelve Tables. Based as it were on a set of religious beliefs, the Ten Commandments provided a set of ideas and principles for living with others in peace and harmony. Where do you think the lost Arc is? Do you agree with my conclusions? Why are why not?